Traditionally, geocaches can be educational with lots of information about the location (for example a historical site) or a tree species (see geocache: Sequoia Sempervivens) … but many geocaches are not at all encouraging of the finder making a connection with the location or environs or the living and non-living things found there. 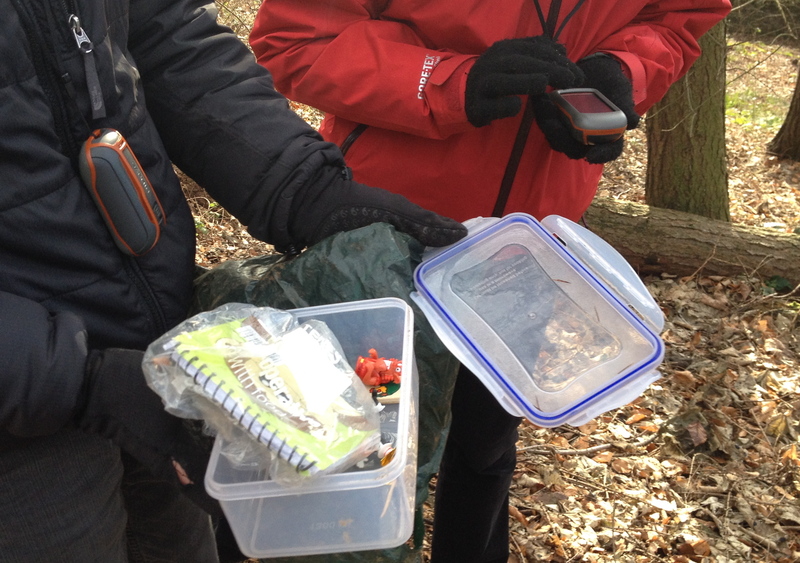 In many cases, geocaches are plastic tubs with some small tokens – often ‘macdonalds’ toys – inside (and the usual log book). Some geocachers take these away and leave other ‘stuff’ for the next finder .. this is all good fun but not perhaps that educational or engaging for people who are interested in more than the process of using the technology and the business of bagging as many caches as possible.